Jon Meacham has 3 media appearances. Jon Meacham discusses Franklin and Winston: An Intimate Portrait of an Epic Friendship. 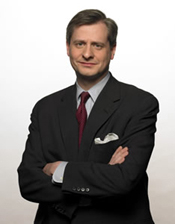 Pulitzer Prize-winning author and contributing editor at TIME, Jon Meacham is one of America's most prominent public intellectuals. Known as a skilled raconteur and an accomplished historian with a depth of knowledge about politics, religion, and current affairs, he understands and analyzes how issues and events impact modern life. Meacham's latest presidential biography, Thomas Jefferson: The Art of Power, is a New York Times bestseller. Fortune magazine hailed it as "masterful and intimate," and Walter Isaacson called it "A true triumph. A fascinating look at how Jefferson wielded his driving desire for power and control." Thomas Jefferson: The Art of Power has appeared on The New York Times Notable Books for 2012 and was named one of the best books of 2012 by Kirkus Reviews. Books & Books partners with Broward Community College for the first time to present Mr. Meacham and provide books. A book signing will follow his talk at 7pm. Tickets are $5 for general public (free to students and faculty) and must be reserved for this event. They can be picked up at the Bailey Box Office or obtained by calling 954-201-6884. In 1803, when the United States purchased Louisiana from France, the great expanse of this new American territory was a blank - not only on the map but in our knowledge. President Thomas Jefferson keenly understood that the course of the nation's destiny lay westward and that a national "Voyage of Discovery" must be mounted to determine the nature and accessibility of the frontier. He commissioned his young secretary, Meriwether Lewis, to lead an intelligence-gathering expedition from the Missouri River to the northern Pacific coast and back. From 1804 to 1806, Lewis, accompanied by co-captain William Clark, the Shoshone guide Sacajawea, and thirty-two men, made the first trek across the Louisiana Purchase, mapping the rivers as he went, tracing the principal waterways to the sea, and establishing the American claim to the territories of Idaho, Washington, and Oregon. Together the captains kept a journal, a richly detailed record of the flora and fauna they sighted, the Indian tribes they encountered, and the awe-inspiring landscape they traversed, from their base camp near present-day St. Louis to the mouth of the Columbia River. In keeping this record they made an incomparable contribution to the literature of exploration and the writing of natural history. Jon Meacham is the editor of Newsweek and author of American Lion and the New York Times bestsellers Franklin and Winston: An Intimate Portrait of an Epic Friendship and American Gospel: God, the Founding Fathers, and the Making of a Nation. He lives in New York City with his wife and children. Jon Meacham's book The Art of Power was available from LibraryThing Early Reviewers. Jon Meacham's book Take Time for Paradise was available from LibraryThing Early Reviewers. Jon Meacham's book American Lion was available from LibraryThing Early Reviewers. Jon Meacham is currently considered a "single author." If one or more works are by a distinct, homonymous authors, go ahead and split the author. Jon Meacham is composed of 3 names. You can examine and separate out names.